The board was already stuffed so all that was needed was to add the pots, wire the connectors and determine how to mount the project. 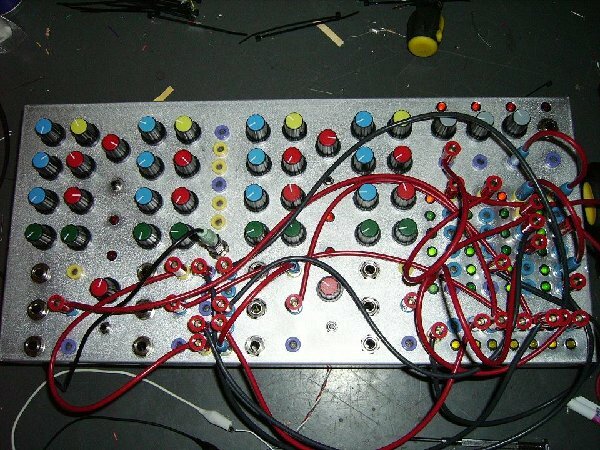 With four drum voices and many pots per voice it was a little large for my modular, so I decided on a 'stand-alone' drum synth. I chose a Bud Inc. box I had around the same size as my Lunetta. . There was a little extra room on the box, so I decided to create some sequencing circuits to trigger the voices. 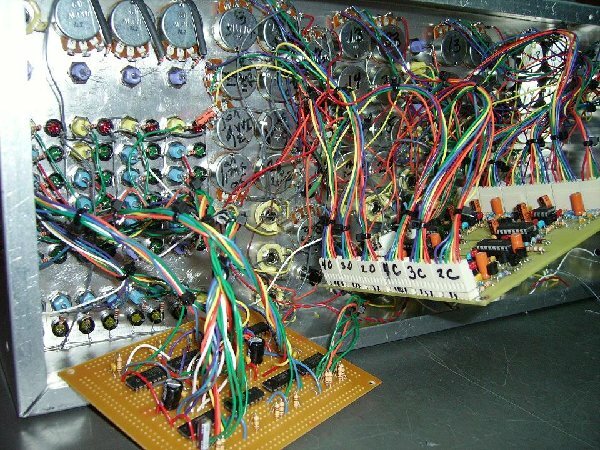 Using many of the ideas from the Lunetta project I built in a number of CMOS clocks, counters, shift registers and dividers so I could program unusual and complex drum beats using Banana cables. I also included a couple R/2R circuits as a way to control pitch of the drum voices. I made all inputs and outputs accessable via 1/4 inch jacks and Banana jacks so I could interface with the modular or the Lunetta. 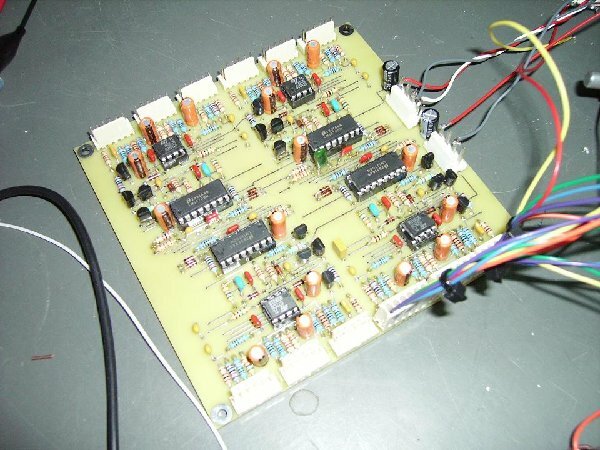 I discovered that these voices will trigger from a bare piezo element so I am also thinking of building some sort of drum pads in the future. The voices sound great. 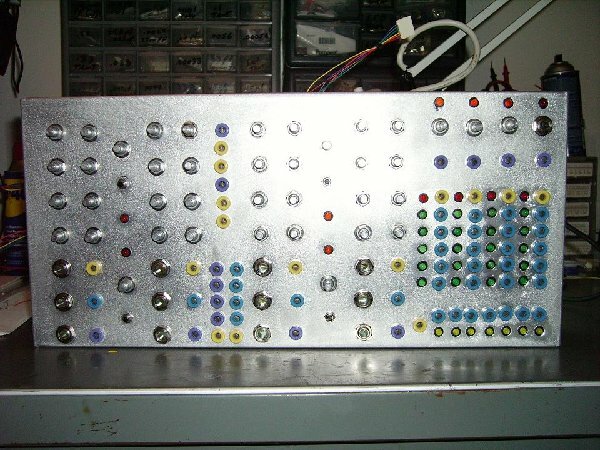 Here's the first patcing I did after I put it together - It does not begin to show the range of sounds availabe from the board - and is more a demonstration of the some of the more basic beats possible with the CMOS logic.